The yeti. El Chupacabra. The Loch Ness Monster. There is something compelling about these maybe-real-maybe-not creatures, something that keeps people looking for them. In some ways, the search is like a puzzle, with only a handful of clues that the would-be cryptozoologist has to pull together in order to find whatever truth might be out there. 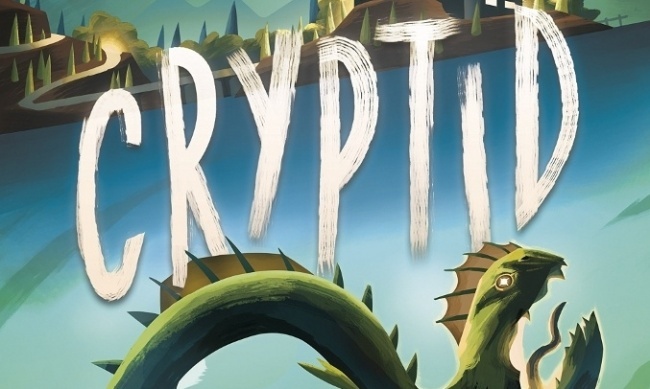 That’s the theme for Osprey Games’ new board game Cryptid. But is it a rare find, or is it just lost in the woods? Summary: Cryptid at its heart is a type of logic puzzle. Through deduction and reasoning, the players work through the hints their opponents share, trying to isolate the one space on the game board where a mysterious creature may be hiding. At the same time, they must try to disguise their own clues, because only the first player who can identify the secret spot can claim victory. The geomorphic board shows a variety of terrains, animal habitats, and human-built structures. Each player begins with a clue, such as "within 2 spaces of an abandoned shack" or "on a forest or desert" space. Then, in turn, they ask other players about specific spaces on the board. Their opponents must truthfully answer "yes" or "maybe" based on the clues they have themselves. Using those answers, the players try to narrow down the possibilities and isolate the cryptid’s location (or, maybe, blindly guess and get lucky… but that’s a lot harder than it sounds). Originality: In my experience, most puzzle-based games feel like, well, puzzles (oh, look: competitive Sudoku. Wait, what?). And while solving the puzzle side of Cryptid is crucial to winning, there is a surprising amount of game here. By strategically choosing where to ask questions and place tokens, players can try to influence the information that their opponents see, giving them an edge on solving the mystery. Game play is more abstract as opposed to feeling like a simulation, but I did find that these two elements of the game meshed together very nicely. Presentation: The game artwork has a stylistic, somewhat creepy feel that hints at the mystery the game is trying to portray. I think that the title could have been a little easier to read, but it does fit the style well. The text on the back of the box sets up the theme very nicely, and provides good hints about the gameplay as well. The box doesn’t show much of the components, but the pieces are pretty minimalistic, so not much harm here. Quality: Every Osprey game I have had the pleasure of encountering has been manufactured to a very high standard, and Cryptid is no exception. The game board is made up of a half dozen nice, thick tiles. Even though the cards really only need to be shuffled once, they are top quality, flexible cards with a good gloss finish. The tokens are all chunky wooden pieces in eye-pleasing colors, much thicker than the wooden pieces I’m used to seeing in other games. The rulebook is clearly written, and printed on fine glossy paper, though I think it would benefit from additional examples of play with illustrations. Even the box is excellent, extremely sturdy and well-built. My one quibble is the player "Clue Books," which are really just a sheet of glossy paper folded over. It’s not that they’re bad, just that they don’t measure up to the excellent quality of the rest of the presentation. Marketability: Puzzles have been around pretty much forever, and I imagine that as long as people enjoy figuring out the mysteries behind them, they always will be. Puzzle-based games have grown in popularity recently, thanks in no small part to the "escape room" phenomenon. So there is clearly a market for games that have puzzles at their heart. Cryptid takes it one step further, adding a strategic element to the game uncommon among puzzle-based games. Virtually unlimited gameplay is offered as well, thanks to an on-line clue generator that players can use should they run out of the pre-generated mysteries included in the box. Overall: I do enjoy logic puzzles, but I have always considered them to be a solitary activity. Even other puzzle-based games I have played in the past have left me feeling like I was doing something on my own in a room full of people doing the same thing. I was delighted to find that Cryptid did not feel that way. I was eager for my turn to come up and thrilled by the tension, especially as I began to develop a theory that might explain the clues. Would I get a chance to make my guess before my opponent broke the mystery? Every time we played, we were all within a turn or two of winning, keeping the tension high. In fairness, the first few games mostly showed that we were pretty bad at solving the mysteries, and we kept running out of pieces to mark our answers. 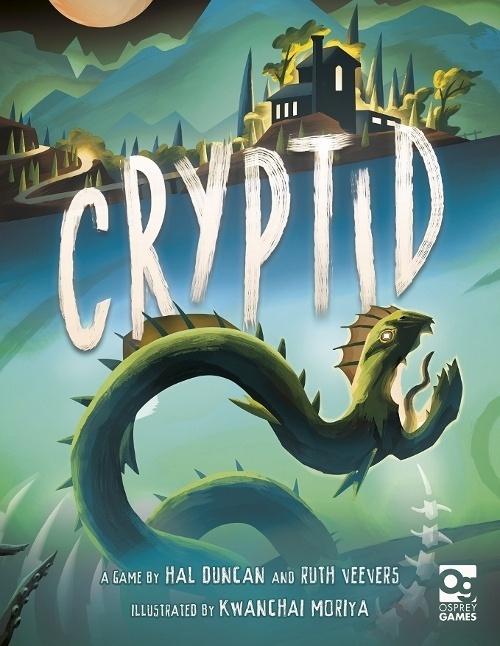 But by the third game, we were up to speed and the intriguing depth of Cryptid became apparent. We all had great fun, and even after back-to-back plays we wanted another crack at the elusive whatever-we-were-hunting-for. And that’s why I’m giving this game 4 out of 5.